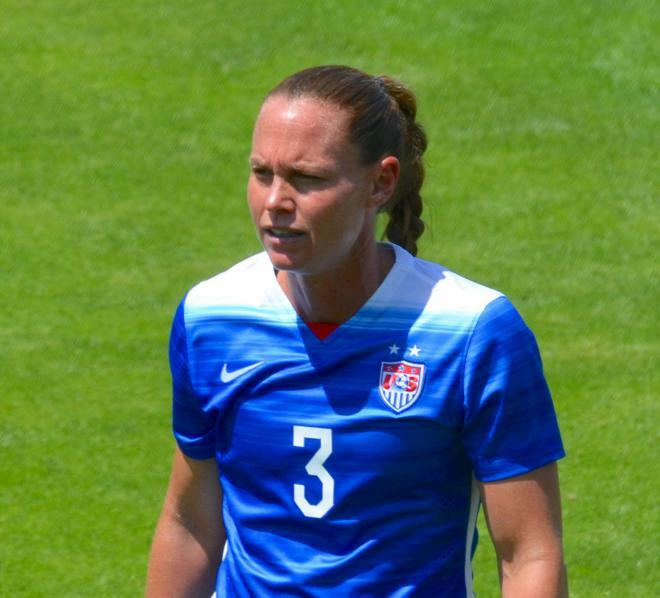 Christie Patricia Rampone (née Pearce born June 24, 1975) is an American professional soccer defender. She currently plays for Sky Blue FC in the National Women's Soccer League and is captain of the United States women's national soccer team.Rampone has played in four FIFA Women's World Cup finals and four Olympics women's football tournaments. She is a 1999 FIFA Women's World Cup champion, and a three-time gold medalist having won championship titles at the 2004 Athens Olympics, 2008 Beijing Olympics and 2012 London Olympics. She has finished no lower than third place in each of the World Cup or Olympic tournaments in which she has competed.Rampone played in the W-League from 1997 through 1998. She played in two American professional leagues the entire time they were in operation; from 2001 through 2003 in the WUSA and from 2009 through 2011 in the WPS. In 2009, while playing for Sky Blue FC, she simultaneously served as coach of the club while winning the 2009 Women's Professional Soccer Playoffs, and was named WPS Sportswoman of the Year.At age 39 and as a mother of two young children, Rampone has not shown sign of slowing down, and has not announced a retirement date. Place Of Birth Fort Lauderdale, Florida, U.S.
1 She was nominated for the 2015 New Jersey Hall of Fame for her services in sports. 2 Captain, U.S. Women's Soccer Team. 3 Mother of two daughters.